Somebody out there gave Hydraulift Pvt Ltd. Kudos! Somebody out there gave FMG Media House Kudos! Nandos Zimbabwe got Kudos from a user on Zimbabwe's Business Directory. You're a standout in your field and we think that's brilliant! Anglican Diocese of Harare (CPCA) got Kudos from a user on Zimbabwe's Business Directory. You're a standout in your field and we think that's brilliant! Bata got Kudos from a user on Zimbabwe's Business Directory. You're a standout in your field and we think that's brilliant! Sealworld (Pvt) Ltd got Kudos from a user on Zimbabwe's Business Directory. You're a standout in your field and we think that's brilliant! Victor Onions Pvt Ltd. updated their company profile. Thank you for keeping Zimbabwe's Business Directory up-to-date. Joystuck Sanitary Services got Kudos from a user on Zimbabwe's Business Directory. You're a standout in your field and we think that's brilliant! Nyasha Junior School got Kudos from a user on Zimbabwe's Business Directory. You're a standout in your field and we think that's brilliant! 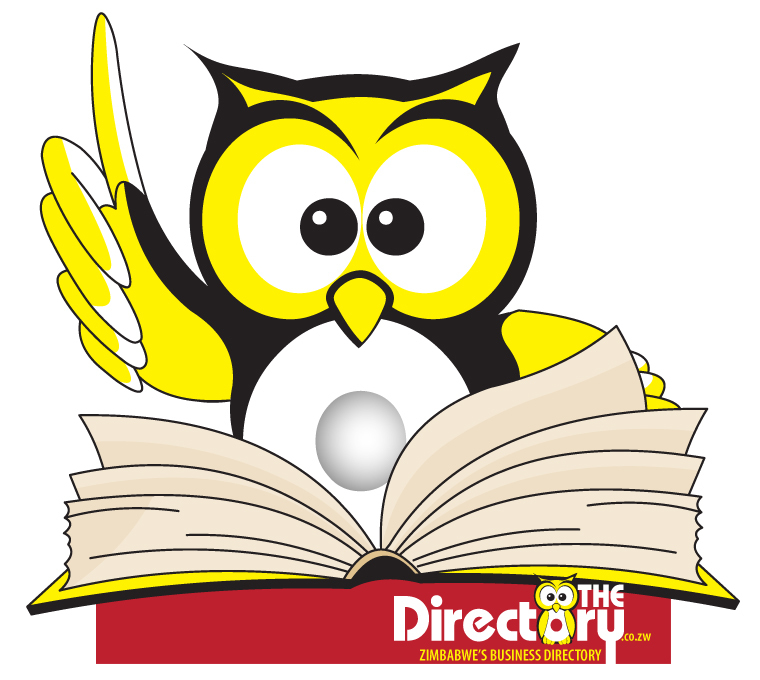 Strategic Synergy listed their company information in The Directory and their details have been checked and approved. Thank you and welcome to Zimbabwe's business directory! Strategic Synergy updated their business location on our directions maps. Booties Pharmacies updated the contact details of their Mbuya Nehannda Branch branch. Thank you for keeping Zimbabwe's Business Directory up-to-date. The Pallet House listed their company information in The Directory and their details have been checked and approved. Thank you and welcome to Zimbabwe's business directory! The Pallet House updated their business location on our directions maps. Dr. Gonah, N.A. updated the contact details of their Head Office branch. Thank you for keeping Zimbabwe's Business Directory up-to-date. Somebody out there gave Dr. Guramatunhu, Solomon Kudos! Avondale I Care got Kudos from a user on Zimbabwe's Business Directory. You're a standout in your field and we think that's brilliant! Zimbabwe Blue Line Dry Cleaners & Laundry Pvt Ltd.
Zimbabwe Blue Line Dry Cleaners & Laundry Pvt Ltd. got Kudos from a user on Zimbabwe's Business Directory. You're a standout in your field and we think that's brilliant! Somebody out there gave Joel Travel And Tours Kudos! Professor Enwerem, E.O. got Kudos from a user on Zimbabwe's Business Directory. You're a standout in your field and we think that's brilliant! Somebody out there gave Bak Logistics Kudos! Somebody out there gave Empire Airbrush Kudos! Ziminx Pvt Ltd. updated their business location on our directions maps. Somebody out there gave Hunyani Paper & Packaging (1997) Pvt Ltd. Kudos! Somebody out there gave Nedbank Zimbabwe Limited Kudos! Hukuru Chicks got Kudos from a user on Zimbabwe's Business Directory. You're a standout in your field and we think that's brilliant! CEE Creative updated their company profile. Thank you for keeping Zimbabwe's Business Directory up-to-date. Kemico Agency (Millpal Pvt Ltd) updated their business location on our directions maps. Somebody out there gave Charles Stewart Day Old Chicks (Pvt) Ltd Kudos! Somebody out there gave Pak Japan Motors and Spares Kudos! Sound Solar Pvt Ltd updated the contact details of their Head Office branch. Thank you for keeping Zimbabwe's Business Directory up-to-date. Sound Solar Pvt Ltd updated their business location on our directions maps. Metallon Corporation got Kudos from a user on Zimbabwe's Business Directory. You're a standout in your field and we think that's brilliant! Somebody out there gave Konica Minolta Zim Kudos! Dr. Runodada, P. M. updated the contact details of their Head Office branch. Thank you for keeping Zimbabwe's Business Directory up-to-date. Whirlpool Software Solutions got Kudos from a user on Zimbabwe's Business Directory. You're a standout in your field and we think that's brilliant! CRG Quarries updated the contact details of their Head Office branch. Thank you for keeping Zimbabwe's Business Directory up-to-date. Cresta Lodge updated the contact details of their Head Office branch. Thank you for keeping Zimbabwe's Business Directory up-to-date. Creative Systems updated the contact details of their Head Office branch. Thank you for keeping Zimbabwe's Business Directory up-to-date. Creative Blinds updated the contact details of their Head Office branch. Thank you for keeping Zimbabwe's Business Directory up-to-date. Creations Advertising updated the contact details of their Head Office branch. Thank you for keeping Zimbabwe's Business Directory up-to-date. Creamwick updated the contact details of their Head Office branch. Thank you for keeping Zimbabwe's Business Directory up-to-date. CPS Africa Pvt Ltd. updated the contact details of their Head Office branch. Thank you for keeping Zimbabwe's Business Directory up-to-date. CP Plastics updated the contact details of their Head Office branch. Thank you for keeping Zimbabwe's Business Directory up-to-date. Covenant Technologies Pvt Ltd updated the contact details of their Head Office branch. Thank you for keeping Zimbabwe's Business Directory up-to-date. Country Cool Air Conditioning (Pvt) Ltd updated the contact details of their Head Office branch. Thank you for keeping Zimbabwe's Business Directory up-to-date. Country Bolts and Fasteners Pvt Ltd. (CBF) updated the contact details of their Head Office branch. Thank you for keeping Zimbabwe's Business Directory up-to-date. Council of Estate Administrators updated the contact details of their Head Office branch. Thank you for keeping Zimbabwe's Business Directory up-to-date. Copperwares updated the contact details of their Head Office branch. Thank you for keeping Zimbabwe's Business Directory up-to-date. Copper King Pvt Ltd. updated the contact details of their Head Office branch. Thank you for keeping Zimbabwe's Business Directory up-to-date. Containawise updated the contact details of their Head Office branch. Thank you for keeping Zimbabwe's Business Directory up-to-date. Whirlpool Software Solutions listed their company information in The Directory and their details have been checked and approved. Thank you and welcome to Zimbabwe's business directory! Whirlpool Software Solutions added a new branch to their company profile. Black Strut Investments (Pvt) Ltd listed their company information in The Directory and their details have been checked and approved. Thank you and welcome to Zimbabwe's business directory! Confide Engineering listed their company information in The Directory and their details have been checked and approved. Thank you and welcome to Zimbabwe's business directory! BLACK STRUT INVESTMENTA PVT LTD updated their company profile. Thank you for keeping Zimbabwe's Business Directory up-to-date. Renovations King listed their company information in The Directory and their details have been checked and approved. Thank you and welcome to Zimbabwe's business directory! Golden Knits listed their company information in The Directory and their details have been checked and approved. Thank you and welcome to Zimbabwe's business directory! Makchester Travel and Tourism listed their company information in The Directory and their details have been checked and approved. Thank you and welcome to Zimbabwe's business directory! makchester travel and tourism updated their company profile. Thank you for keeping Zimbabwe's Business Directory up-to-date. Security Partners listed their company information in The Directory and their details have been checked and approved. Thank you and welcome to Zimbabwe's business directory! YJMT Labor Brokers listed their company information in The Directory and their details have been checked and approved. Thank you and welcome to Zimbabwe's business directory! YJMT LABOR BROKERS updated their company profile. Thank you for keeping Zimbabwe's Business Directory up-to-date. Somebody out there gave Mabelreign Police Station Kudos! Somebody out there gave Sungevity Kudos! Somebody out there gave Venus Dental Surgery Kudos! PSI Zimbabwe got Kudos from a user on Zimbabwe's Business Directory. You're a standout in your field and we think that's brilliant! Somebody out there gave Corporate24 Medical Aid Kudos! Somebody out there gave Medi Chem Kudos! Somebody out there gave Telone Kudos! Dr. Bwakura, T.R. got Kudos from a user on Zimbabwe's Business Directory. You're a standout in your field and we think that's brilliant! Koala Park Butchery and Abattoir got Kudos from a user on Zimbabwe's Business Directory. You're a standout in your field and we think that's brilliant! Dr. Runodada, P. M. updated their company profile. Thank you for keeping Zimbabwe's Business Directory up-to-date. Highlands Veterinary Surgery updated the contact details of their Head Office branch. Thank you for keeping Zimbabwe's Business Directory up-to-date. Kusi Chemicals updated the contact details of their Head Office branch. Thank you for keeping Zimbabwe's Business Directory up-to-date. Ablestyle Pools and Construction got Kudos from a user on Zimbabwe's Business Directory. You're a standout in your field and we think that's brilliant! Real Grace Motor Spares updated their company profile. Thank you for keeping Zimbabwe's Business Directory up-to-date. Dr. Chingonzoh, T.A. got Kudos from a user on Zimbabwe's Business Directory. You're a standout in your field and we think that's brilliant! Somebody out there gave Level - IV Hackers Zimbabwe Kudos! Eaden Medical Laboratories International updated the contact details of their Head Office branch. Thank you for keeping Zimbabwe's Business Directory up-to-date. Fidelity Life Medical Aid Society (FLIMAS) got Kudos from a user on Zimbabwe's Business Directory. You're a standout in your field and we think that's brilliant! Globetrot consultancy updated their company profile. Thank you for keeping Zimbabwe's Business Directory up-to-date. Globetrot consultancy updated their hours of business for their Head Office branch. Thank you for keeping Zimbabwe's Business Directory up-to-date. RK Motor Spares got Kudos from a user on Zimbabwe's Business Directory. You're a standout in your field and we think that's brilliant! Somebody out there gave Madison Solar Engineering Kudos! PPCS - Premier Pest Control Services updated the contact details of their Head Office branch. Thank you for keeping Zimbabwe's Business Directory up-to-date. Mr. Chando Ice updated the contact details of their Head Office branch. Thank you for keeping Zimbabwe's Business Directory up-to-date. Controlled Cooling (Pvt) Ltd updated their company profile. Thank you for keeping Zimbabwe's Business Directory up-to-date. Controlled Cooling (Pvt) Ltd updated the contact details of their Head Office branch. Thank you for keeping Zimbabwe's Business Directory up-to-date. Suburban Medical Centre got Kudos from a user on Zimbabwe's Business Directory. You're a standout in your field and we think that's brilliant! Padova got Kudos from a user on Zimbabwe's Business Directory. You're a standout in your field and we think that's brilliant! Globetrot consultancy improved their corporate identity by adding their logo to their company profile. Somebody out there gave The Tile Warehouse Kudos!